Mobile marketing isn’t optional. Your audience, no matter who they are, is on their smartphone pretty much all the time. Your business needs to be where your customers are, and if you’re sidestepping the importance of mobile marketing, your strategy is not going to be effective according to experts like the mobile app development firm Buildfire. Mobile marketing provides you with extensive reach, it keeps you front and center for your audience, it builds loyalty, and it ensures that your messages are going directly to the people they’re intended for. People’s phones are always within their reach as well, so you’re never having to worry about losing a connection with your audience if you’re focusing on mobile marketing. Mobile marketing is especially important for real estate agents and real estate professionals. The following are tips for real estate professionals who are either just starting their mobile marketing plan or want to change their strategy. Mobile apps are excellent, but sometimes one of the most effective and also simplest way to market to a mobile audience is by text message. You know text messages are going to be seen, and often they’re opened immediately. This isn’t always the case with something like an email. There are some different specific ways you can use text messages if you’re a real estate professional, including scheduling appointments or calls, updates on listings, offer updates, and links to properties. With that being said, you do need to have people opt-in to receive this kind of messages from you, as is required by the FTC. 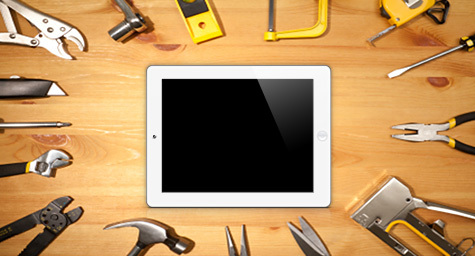 When it comes to mobile apps, there are a few different options for real estate professionals. One option is to use existing apps like Zillow, but a lot of realtors and agencies are instead opting to create their own app. Your app can include information about agents in the company, directories of listings, and general content. You can also use your app as a way to provide information and education to your audience, right at their fingertips. This fills a need for your audience, and it also keeps your name and your brand fresh in the mind of users. Responsive design is especially important in the real estate industry because it’s so visually driven. However, a lot of businesses tend to think that responsive design just means that things are small on a mobile screen. Real estate professionals need to ensure they’re incorporating best practices of responsive design into their mobile marketing. This can include everything from images to video walk-through tours, as well as things like emails and inquiry forms. Finally, another key element of a real estate professional’s mobile strategy has to be mobile ads. The idea of putting an ad in a magazine is no longer effective in the way it used to be. Real estate professionals should aim for cohesive branding across all elements of their mobile marketing from their texts and emails to their app and then ultimately their ads. Embrace the idea of using not only paid online ads through Google AdWords and social media but also be innovative with the use of options like Facebook and Instagram Live videos, as well as Snapchat.